I wanted to share these cards with you...these two were given to special friends! ...I love being able to make something special for someone...knowing it puts a smile on their face...and it feels good knowing they truly appreciate it. I am so very blessed to have such good friends in my life. Some people are blessed with friends. You are so right - smiles were brought to my face! Today has been a down day and seeing the cards on your post just made me smile again! 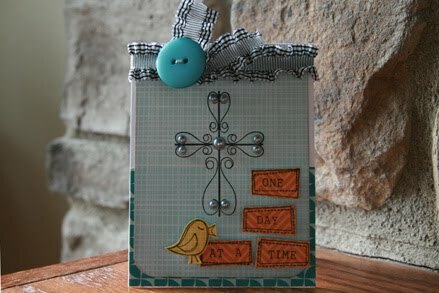 I must get more dies--love that scalloped edge on the bottom card! And that first card--LOVE LOVE LOVE all the ippity stamps:) YOU ROCK!